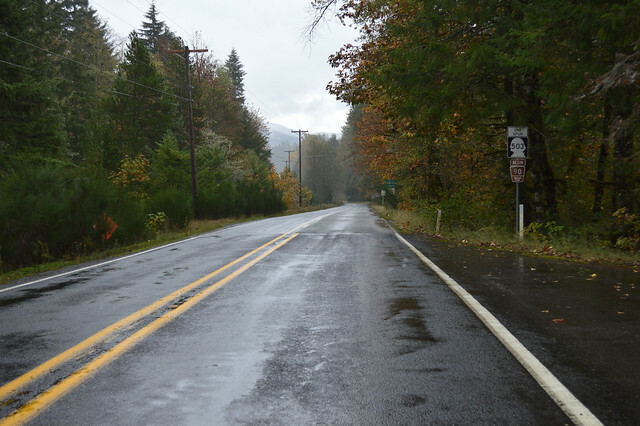 On Thursday, October 6, 2016, we drove Washington State Route 503 -- all the bits of it. 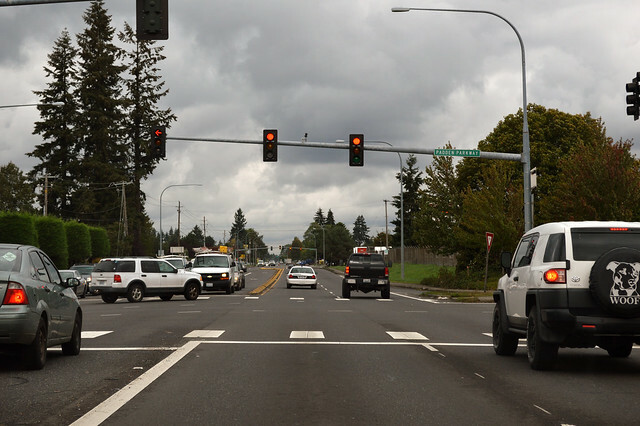 In the suburban sprawl known as Orchards, SR 503 begins at this junction with SR 500. 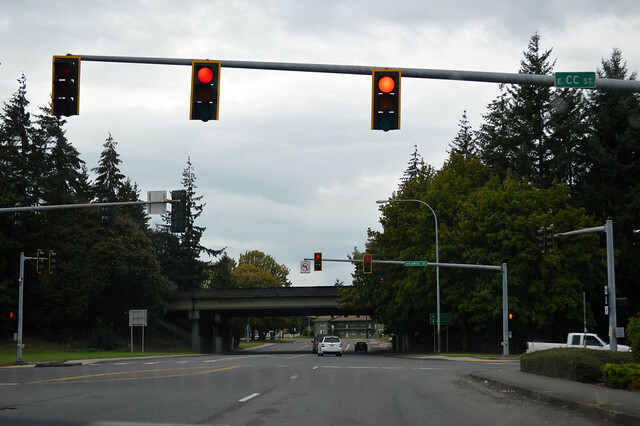 It's a mile north of where the signs for SR 503 start, but SR 500 was rerouted north along this same route, so the junction is here at Padden Parkway. We leave the sprawl and enter pastures. Forest by Salmon Creek, then back to the fields and sprawl -- Battle Ground. 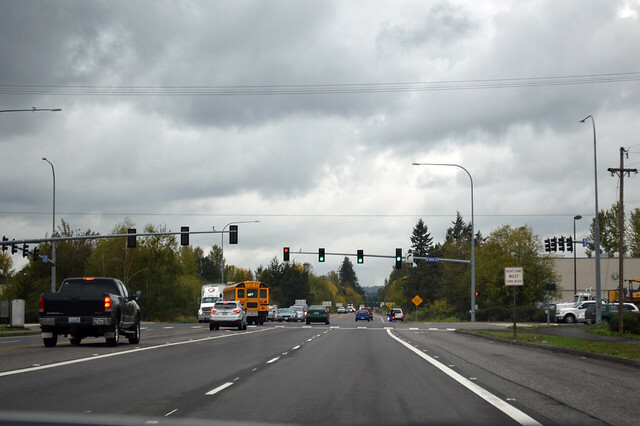 The junction with SR 502. We leave the sprawl again, into the fields, then forest. We cross the East Fork Lewis River. Zig zag slow road through deep woods and small farms. Slow through the town of Amboy, then more farms and forested hills. We cross Lake Merwin (Lewis River) on a one-lane steel suspension bridge that was a bit of a surprise. 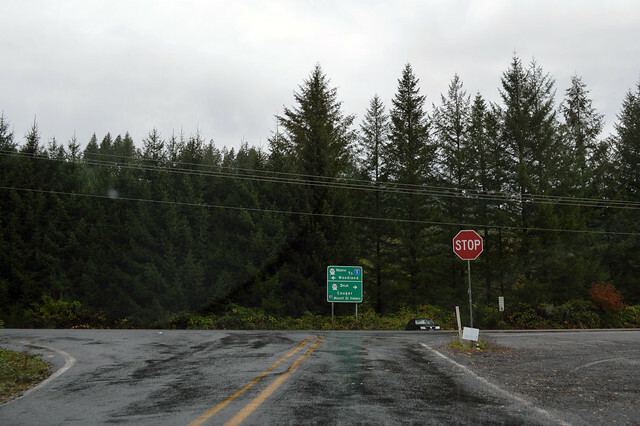 We climb over Speelyai Ridge and switchback down to the junction pictured above, where SR 503 meets itself in the community of Yale. 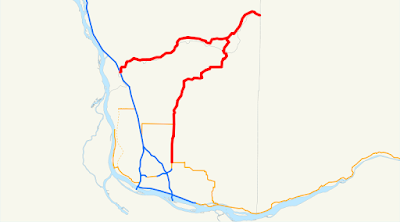 SR 503 is signed as a route from Orchards "north" to Woodland, with a spur east toward Mount St. Helens, but that's not how it's described in the code above. I thus drove the spur first, heading east on the Lewis River Road. We drive past misty Yale Lake, the little town of Cougar, and into a rain shower. 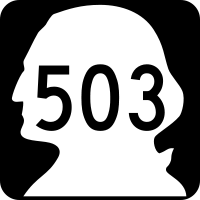 At the county line, SR 503 ends even if the road doesn't. 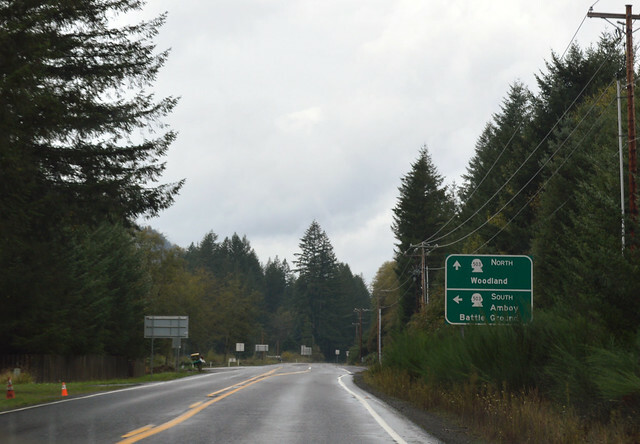 We resume heading "north" on SR 503 in Yale, while actually heading west-southwest. We zoom down the Lewis River valley. Farms and fir forests. Cliff curves and logging trucks. Maples turning colors while the cedars and firs stay green. Clouds mist through the tree-covered hillsides. The Lewis River gets big and slow as we enter Woodland. We make our way through the perennially slow set of lights at the junction with I-5, thus completing our drive of Highway 503. 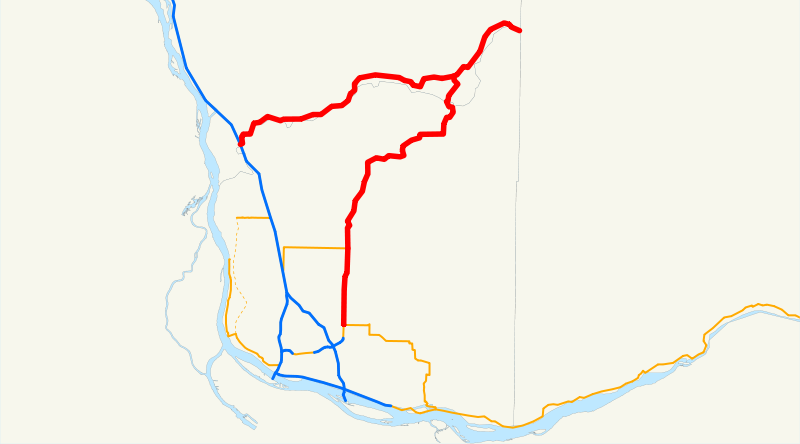 Rural Clark and Cowlitz Counties are quite nice. Pity it was raining.